One of the best ways to promote your network marketing business is to create MLM Training Videos. Video marketing is a very effective and low cost way to get your name out there, to position yourself as a leader, to leverage attraction marketing and to generate leads for your MLM Business. Many of the most successful network marketers (Eric Worre, Mark Yarnell, Ray Higdon, Dale Calvert, etc.) post videos on the leading social media sites, such as YouTube®, Twitter, and Facebook®. By doing so, they create a huge following and grow their business quickly. You should consider doing the same thing. If you want to achieve success with your own MLM Training Videos, you must find creative ways to stand out in the crowd. Please know that the home-based business and network marketing industry is extremely competitive online. There are MILLIONS of MLM Videos on YouTube. That means it’s extremely tough to get noticed. It can be done, but you have to be unique. You have to be different than everyone else. Listed below, I want to share some of my favorite tips for success for generating high quality MLM Training Videos that (1) get ranked high in the search engines, (2) get watched, and (3) generate leads. Let’s get started. 1. Choose Your Keywords Wisely: The first thing you need to do is visit Google’s External Keyword Tool to find high demand, low supply keywords. If possible, you should focus on long-tail keywords. 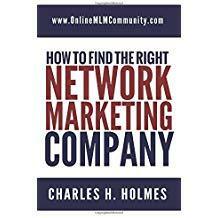 An example of a long-tail keyword would be MLM Online Success Tips. It’s probably difficult to win a term like MLM Online, but if you add the Success Tips to the end of it, you can probably get on the first page of Google for that phrase. At the end of the day, you want words that people search for, but aren’t overly competitive. 2. Educate Your Prospect: Next, your videos must educate your prospect. You need to put some thought into your video, before you create it. One way to do this is to think like your prospect and make a list of things they might want to know more about. What I like to do is make a list of questions, or do a survey with people and find out what questions they have, and then turn each question (along with the answer) into a video. 3. Be Genuine: Be yourself. Don’t alter your personality or act like someone else. If you are naturally cynical, be cynical. On the other hand, if you are a number’s freak, use numbers and stats in your video. If you are a goof ball, be a goof ball. Just be yourself. 4. Be Different: Find creative ways to be different. For example, you could wear a superhero costume. Or, you could film your movie outdoors. Or, you could do an interview with someone. Or, you could do a cartoon, a puppet show, have your dog sitting next to you or whatever else you can think of. If possible, come up with a theme for all of your videos. 5. Be Funny: People love to laugh. If you can educate your prospect, and make him or her laugh at the same time, you will increase your chances of success. Humor is a powerful thing, especially in video marketing. 6. Evaluate Your Competition: I recommend that you evaluate your competition. Spend a couple hours on YouTube® and watch some videos. Make a list of the videos you enjoyed and write down what you liked about them. Find the videos that have lots of views, and high rankings. Find some videos you don’t like and write down what you like about them. The best thing you can do is study the people who have lots of videos, with lots of views and subscribers. 7. Add a Hyperlink Under Your Video: This is the most important step. Once you create a video, you need to add a hyperlink under your video, so people who enjoy the video can click on the link and visit your website. 8. Don’t Act Like a Salesman: Don’t come across as a saleman in your videos. Don’t pitch people your business. Be an educator, not a salesman. Provide value. Help people. Teach people. Do that and you will naturally sponsor people into your business. 9. Use a Good Title, Meta Tag and Description: You definitely need to use a good title, good meta-tags and a good description. This will help the SEO for your video and help it get ranked higher in the search engines. After all, your videos won’t get very many views if no one knows about them. 10. Promote Your Videos: One of the most important tips I can share with you is to promote your videos. Build links to your videos. Embed them in your blog. Share them on Twitter and Facebook. For every hour you spend creating videos, spend three hours promoting them. That is a good rule of thumb. In conclusion, creating and promoting MLM Training Videos is a great way to build your network marketing business online. Your key to success is to follow the advice outlined in this article and create lots of videos with great information and content. Remember to create good content, create new content frequently, and spend time marketing your videos. Do that for a few years and you can build up a really big following online. Those are some great tips. I’ve been playing around with video marketing for a couple of years now and I agree that you have to keep putting out new material. I helps to map out a campaign of several videos at at time. You can shoot and post them on a regular schedule without the pressure of always having to generate a new idea. Just find a handful of themes and then expand them. Very good idea, Nicole. I like the idea of coming up with your list and brainstorming ahead of time, so you always have your next idea for a video. This is a great way to market and promote your MLM company. I have seen some very well made videos. A person could learn some tips and tricks just from watching television commercials. You could wear some kind of crazy outfit and use humor, or you can promote educative material, teaching people something that coincides with your MLM business. Great idea and thanks for sharing this information Chuck. These are really good tips. I would like to make some training videos for my Avon business and this article makes the process of doing it in an effective manner seem much clearer. I had not thought of doing SEO on a YouTube video, but now that you mention that it makes perfect sense. Thanks! Glad I could be of assistance Patty! Good luck with your Avon business. As a business and MLM entrepreneur of 5 years I have never even considered using video marketing as a tool. This idea is ingenious. I have been watching the over the years the growth of YouTube marketing and been fascinated by it. I have wanted to break into that arena but wasn’t really sure what kind of content to produce. This idea solves that problem. I can begin to educate people in a way that will bring new customers to my door. Love this idea. You could even make videos that educate people about your jewelry.